We hit a home run with these 2 guest speakers and slide into our final meeting for 2013! Dr. Richard W. Swier - Editor of Watchdog Wire John Casey, Climate Scientist of the Year by WDW and author of "Cold Sun"
Topic: Watchdog Wire - Florida, what we do and how we make a difference in changing public policy. Right now our top items are: Common Core, Florida's Stand Your Ground Law and the upcoming 2014 legislative session. Richard holds a Doctorate of Education from the University of Southern California in Los Angeles, CA, a Master's Degree in Management Information Systems from the George Washington University, Washington, D.C., and a Bachelor's Degree in Fine Arts from Washington University, St. Louis, MO. Richard is a 23 year Army veteran who retired as a Lieutenant Colonel in 1990. He was awarded the Legion of Merit for his years of service. Additionally, he was awarded two Bronze Stars with "V" for Heroism in ground combat, the Presidential Unit Citation, and the Vietnamese Cross of Gallantry while serving with the 101st Airborne Division in Vietnam. He is a graduate of the Field Artillery Officers Basic and Advanced Courses, and U.S. Army Command and General Staff College. Richard was the Founder/CEO of Sarasota Online, a high technology company that was sold to Comcast Cable in 1996. He helped start Backsoft Corporation an enterprise software development company in 1997 whose clients included Coca-Cola, Anheuser-Busch, Hyundai Electronics, Volkswagen, Moen and Goodyear. Backsoft was sold in 2001. Richard twice chaired the Sarasota Better Business Council and sat on the Board of the Greater Sarasota Chamber of Commerce. 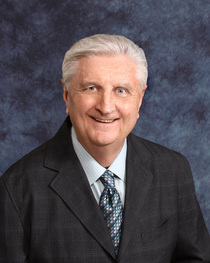 He served on the Board of Directors of the Community Foundation of Sarasota County from 2000-2009. 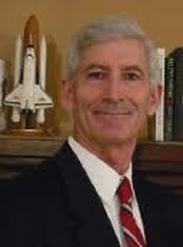 He served from 2006-2011 on the sponsorship Advisory Committee to Sarasota County School Board. Rich served for ten years as the President of the Sarasota County Veterans Commission, an honorary member of the BRAIVE Fund, and served as Chairman of the Sarasota National Cemetery Advisory committee for seven years. Rich is the Editor of Watchdog Wire - Florida, www.watchdogwire.com/florida, an internationally read website dedicated to exposing government fraud, waste and abuse. 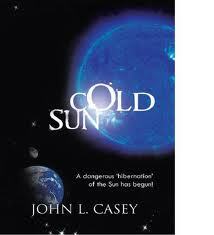 This new cold era is caused by a historic decline in the Sun’s energy output, what Mr. Casey calls a “solar hibernation.” His research has shown these cold climate events occur every 206 years because of a regular, repeating, natural cycle of the Sun. Starting in the spring of 2007, Mr. Casey became the first researcher to announce this dramatic change in the Sun to the White House, Congress, major government agencies, all State Governors, and the mainstream media. In addition to correctly predicting the hibernation of the Sun, recently confirmed by NASA and other science organizations, he has also correctly predicted the end of global warming, and the now validated long term decline in the Earth’s temperatures. Further, in 2007 he became one of the few researchers who correctly predicted the specific level and peak of activity of the Sun for the current solar cycle #24, where the US government’s leading solar and climate research organizations failed to do so by a substantial margin. Despite receiving significant early criticism from both sides of the global warming debate for making his highly public climate predictions, his well-documented record of major climate change predictions is today still unmatched by the UN-IPCC, NASA, NOAA, and any US government funded university climate researcher. The Global Climate Status Report (GCSR)© is a quarterly report that is the only independent, authoritative, apolitical, global climate report from a leading climate research organization in the US. The report is unique for its type in that it contains a current status report on the Earth’s climate using the latest surface and satellite data, an assessment of both the present and the next climate change, and is compiled from US and international science data and measures twenty four different climate change parameters. Because of the respect he had earned in his climate research, in September 2011, Mr. Casey was asked by a group of the world’s best geologists in earthquake prediction, to bring them together in a new company to help save thousands of lives each year by providing weeks and months of advance warning of the most dangerous earthquakes. In February 2012, the International Earthquake and Volcano Prediction Center (IEVPC), was formed with Mr. Casey as the Chairman/CEO. In December 2012, the IEVPC announced that it was concluding its test program early after they had correctly predicted its first three major earthquake events in advance. As a result, the IEVPC has begun a program to notify all earthquake prone nations that major earthquakes can now be predicted well in advance.